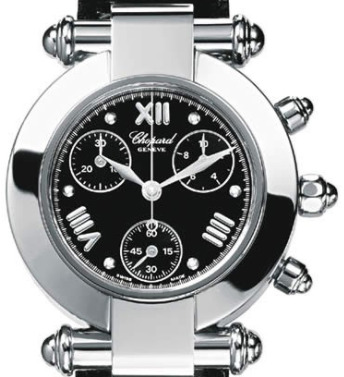 This watch is also known as: 37/3168-1004 , 373168-1004 , 373168/1004 . 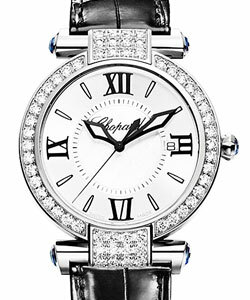 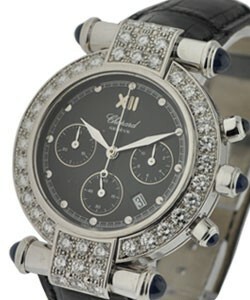 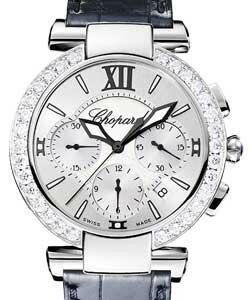 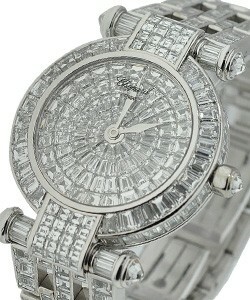 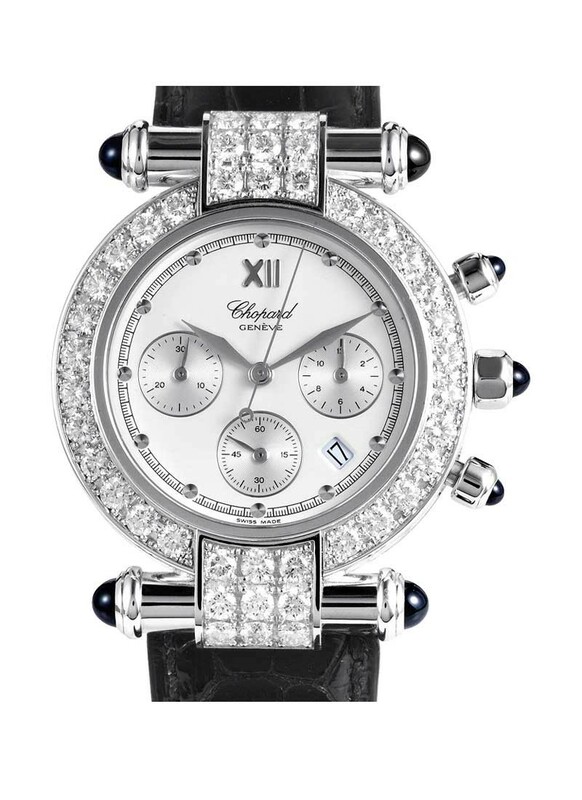 This Chopard Imperiale Chronograph watch in White Gold features a silver dial, diamond bezel and black leather bracelet. 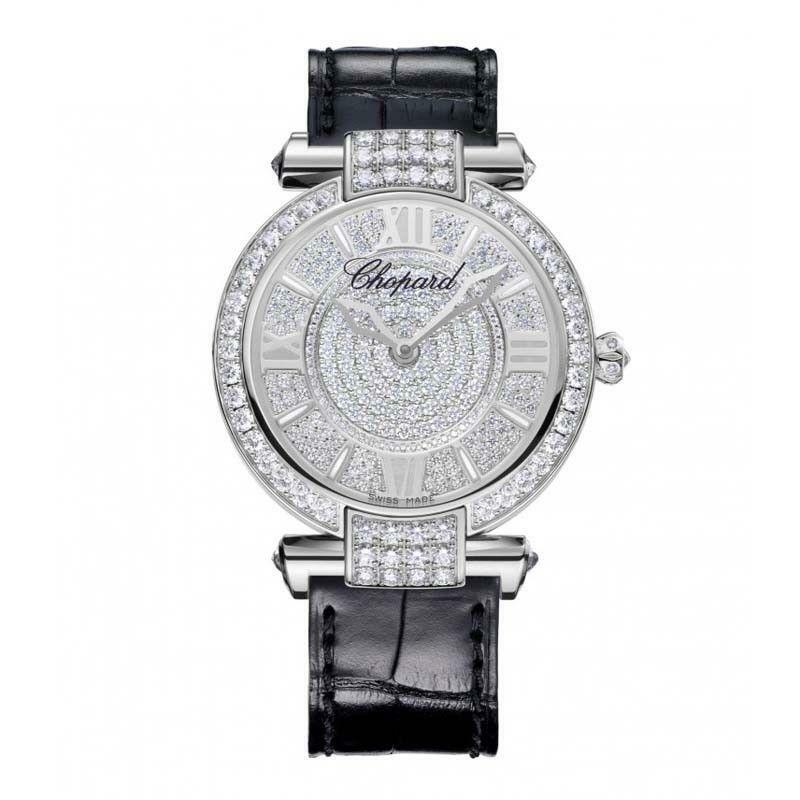 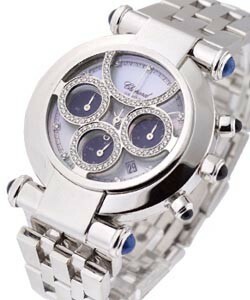 The Chopard Imperiale Chronograph watch also features a quartz movement and is water resistant to 30 meters.